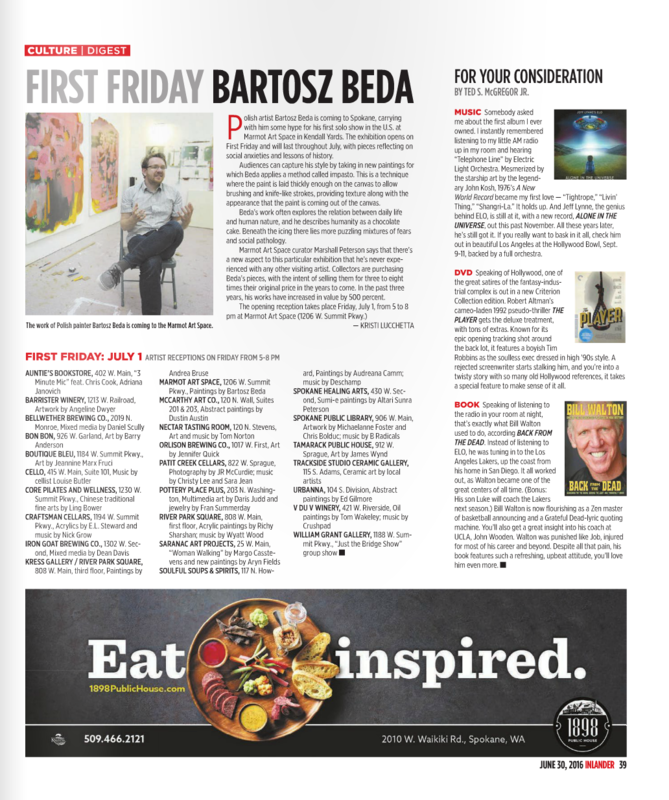 The work of Polish painter Bartosz Beda is coming to the Marmot Art Space. Polish artist Bartosz Beda is coming to Spokane, carrying with him some hype for his first solo show in the U.S. at Marmot Art Space in Kendall Yards. The exhibition opens on First Friday and will last through July, with pieces reflecting on social anxieties and lessons of history. Audiences can capture his style by taking in new paintings for which Beda applies a method called impasto. This is a technique where the paint is laid thickly enough on the canvas to allow brushing and knife-like strokes, providing texture along with the appearance that the paint is coming out of the canvas. Beda’s work often explores the relation between daily life and human nature, and he describes humanity as a chocolate cake. Beneath the icing there lies more puzzling mixtures of fears and social pathology. 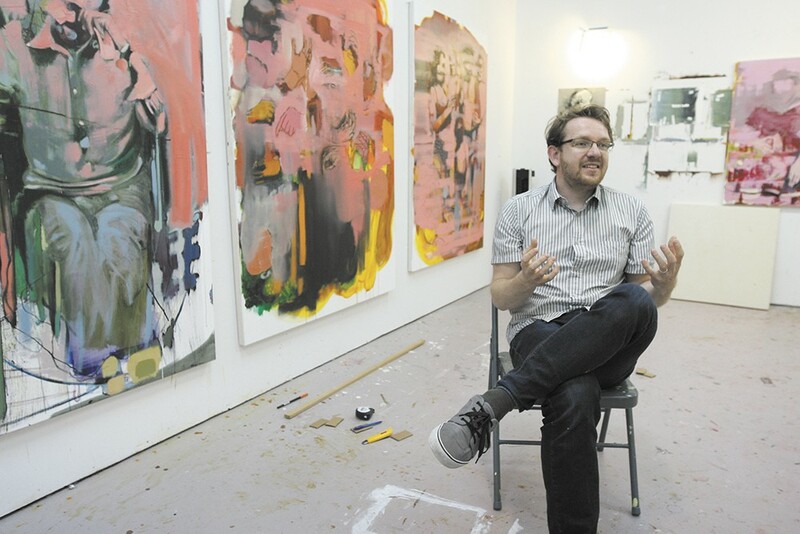 Marmot Art Space curator Marshall Peterson says that there’s a new aspect to this particular exhibition that he’s never experienced with any other visiting artist. Collectors are purchasing Beda’s pieces, with the intent of selling them for three to eight times their original price in the years to come. In the past three years, his works have increased in value by 500 percent. For a complete listing of First Friday events around Spokane this month, visitInlander.com/FirstFriday.